Joseph L. Cerquozzi, 53, of Trout Run, died Monday, July 16, 2018, at UPMC Susquehanna. Born Nov. 14, 1964, in Williamsport, he is a son of Antonio H. Cerquozzi, of Williamsport, and the late Patricia A. Jean. Joseph was of the Catholic faith, and was a skilled woodworker known for his cabinetry work. He enjoyed the outdoors, hunting and gardening, watching Steelers Football and NASCAR. Joseph was a member of the Polish Club and his laid back, easy going personality will be missed by family and friends. Above all he was a devoted father and a great family man. Surviving in addition to his father are two daughters, Tanisha A. Cerquozzi, of Muncy, and Kristen A. Cerquozzi, of Dauphin; a sister, Lori L. (Ted) Gehr, of Cogan Station; three nephews; and close friend, Debbie Cimini, of Muncy. 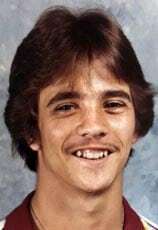 Joseph was preceded in death by his mother and a brother, Anthony C. “Tony” Cerquozzi. A funeral service to honor the life of Joseph will be held 3 p.m. Saturday, July 21, at Sanders Mortuary, 821 Diamond St., Williamsport. A viewing will be held from 2 p.m. until the time of service on Saturday at Sanders. Burial will be private.